Founder and leader of Glorious Wave Chapel International, Prophet Emmanuel Badu Kobi, has chastised President Nana Addo Dankwa Akufo-Addo for saying that he was in a hurry to fix Ghana’s problems within the four-year mandate given to him by Ghanaians. According to the prophet, immediately Nana Addo stated in parliament that he was a man in hurry, he [Badu Kobi] knew that Nana Addo will fail because governance is not about being in haste to do something but it is a process. ”When you wake up in the morning do you just run to Happy FM to work? Don’t you do it in a process?” he quizzed. He added that it was inappropriate for Nana Addo to make that statement some few days after he assumed office. 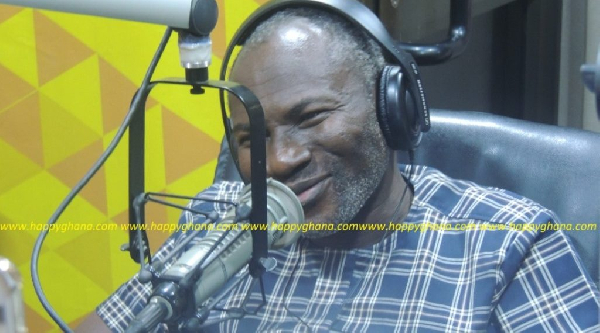 Badu Kobi disclosed that President Nana Addo should have taken his time to study how things work first. “If anyone speaks to you and says he is in a hurry, know that things will spoil. You just don’t say you are in hurry when you just assumed office. You must go through the process. The land does not belong to you. Tomorrow does not belong to you and you don’t know what will happen, so why are you in a hurry? The day Nana Addo said he was in hurry I realize Ghana was in trouble. Hurry to do what? Even God makes things step by step. So why should a president be in hurry, to do what? President Akufo-Addo, delivering his first State of the Nation Address on Tuesday, February 21, 2017, described himself as a man who was in a hurry to develop the country. He said he had to work immediately after his inauguration by quickly putting his team that would help him govern because there was no time to waste.